In my last blog I told you a little bit about Deborah Blatt and Girl-Topia. Mrs. Blatt is the founder of The Sharing Shelf and her outstanding work was acknowledged at the 2013 Volunteer Center of United Way’s Volunteer Spirit Award where she was presented with the Social Advocacy Award. The Sharing Shelf was founded in 2009 and provides clothing and supplies for children. The Sharing Shelf is run entirely by volunteers. The volunteers sort and organize the clothing and supplies. They make a care package that really matches up to the child’s needs and requests. They make the care packages look like someone cares. The care packages consist of a week’s worth of clothes. I recently learned that my teacher who is out of this world, Cidalia Vincitore, helped the Sharing Shelf by doing a Backpack Drive. 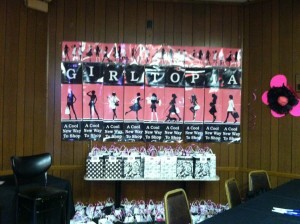 The first Girl-Topia was held last fall. Caroline Stoerger received a Gold Award from the Girl Scouts because the project was her idea along with The Sharing Shelf. The Sharing Shelf, the Junior League of Central Westchester, and the Holy Trinity Greek Orthodox Ladies Philoptochos Society, and the New Rochelle Girl Scout Troop 1878 joined to form a volunteer union set on giving girls ages 13 to 18 the opportunity to collect a care package, a makeover with make-up, and a gift bag. 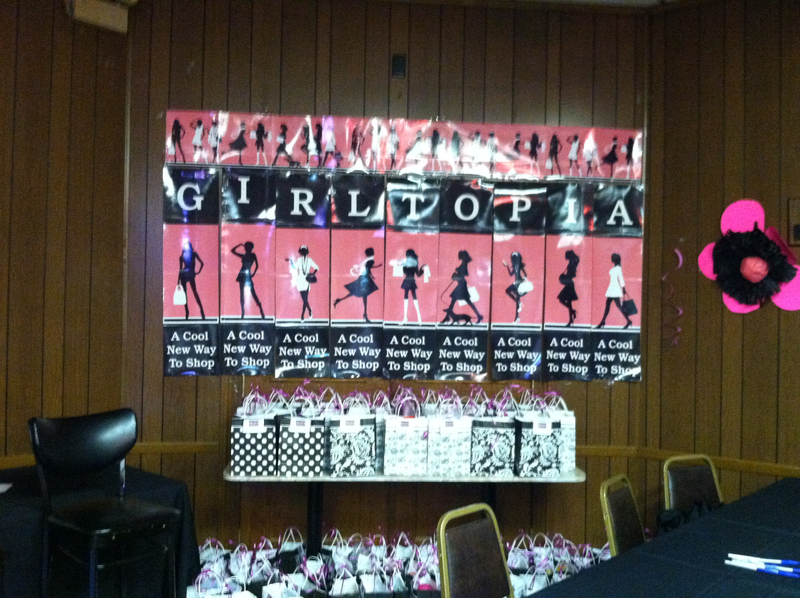 The spring Girl-Topia event was held at the Mount Vernon VFW Hall on April 28, 2013. The girls who were referred by their social workers to this event, which was a one day shopping experience, were shown shoes, tops, dresses, skirts, shorts, jewelry, belts, scarves, jeans, socks, purses, and undergarments. These items were donated. Deb Blatt made sure they were all in tip top condition. 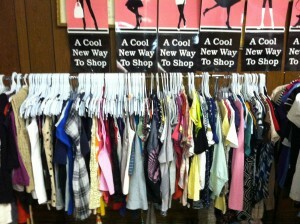 She made sure that the items were neatly hung and folded just like a store. There were two very nice women from Sephora who transformed the girls. I got to watch the makeovers because I was posted at the Sephora station. Sometimes the girls were nervous at first to get their make-up done but the women were so friendly and encouraging. By the end of their makeover, the girls posed for their pictures with the widest smiles and the smiles got even bigger when I showed them their picture! They were so happy and that supported my theory that Girl-Topia was a success! There were many volunteers who helped with this special day and I would like to acknowledge them: Mari Galvin and her daughter Hanna Galvin (who volunteer at The Sharing Shelf), Mei Moran from the Junior League of Central Westchester, Jayne Peister who is the leader of Girl Scout Troop 1878 from New Rochelle, Kelly Bentley who is the store manager from Anthropologie at the Westchester, Penske Truck Rental, Coty Inc. (my Mom said they gave 100 bottles of Orlane skin care products), BeGreen Kids Consignments, Operation Prom, Susan Berman, Maria Carabello and the VFW Post in Mount Vernon (it was really spiffed up), Ivone Pereira from Ultimate Image Salon in Scarsdale, Patricia Margro and her staff from Maison Rouge of Bronxville who donated make-up, German Chino form The Scarsdale Village Flower Shop, and Mrs. Sue Russon from the Holy Trinity Greek Orthodox Ladies Philoptochos Society. 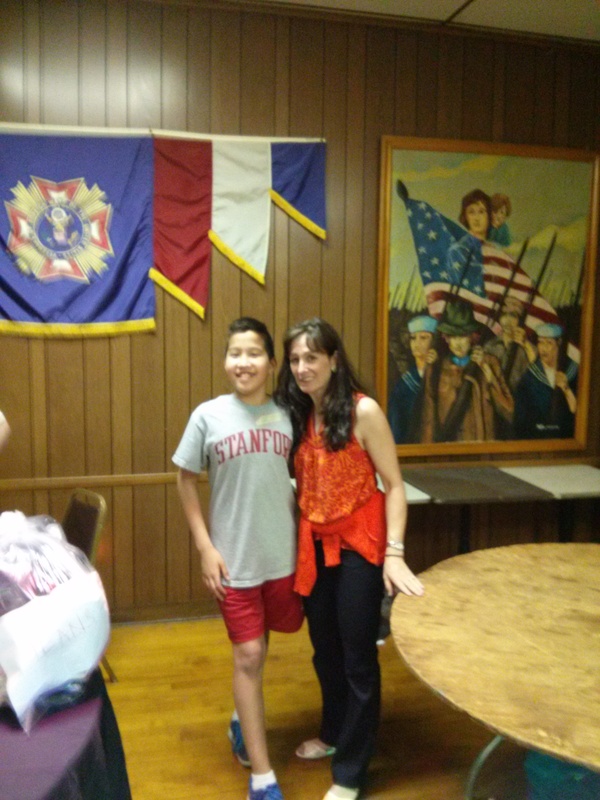 My family found out about this opportunity to volunteer through Mrs. Russon who is a good friend of mine. I attend to school with her sons who are smart and comical. Boys from Iona Prep also came to help and they unloaded the truck that came from the Sharing Shelf warehouse on Friday before the event. Also unloading the truck was my Dad and a nice man who works with Mrs. Blatt. Thanks to my Dad and Mom for volunteering. It is Mother’s Day and I also want to say that my Mom is a hardworking and dedicated volunteer. I volunteered at Girl-Topia and witnessed the changes that the girls underwent and it made me feel grateful. I encourage you to volunteer with Mrs. Blatt at The Sharing Shelf. It is important to get your company or yourself involved for the next Girl-Topia. If you own a shoe store or an apparel store, you should get involved!